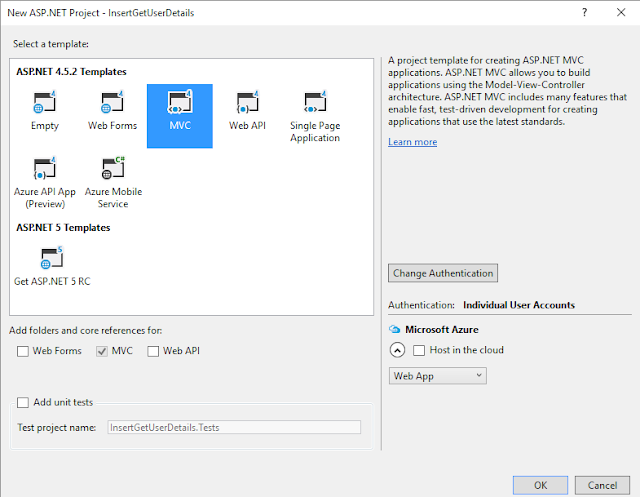 Here I will explain how to get data from database in asp.net mvc using ADO.NET with example or asp.net mvc display or show data from database using ADO.NET with example or asp.net mvc retrieve or read data from database and show it in view with example. 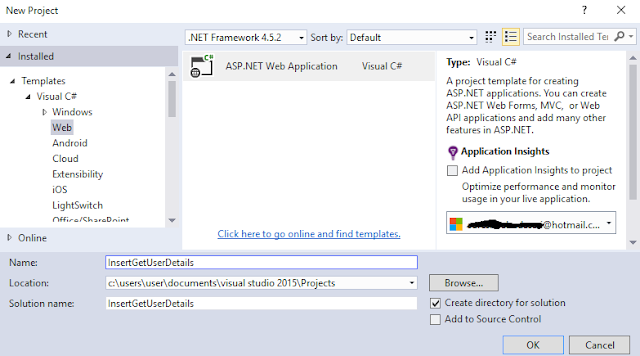 By using ADO.NET concept in asp.net mvc we can easily insert and get data from database based on our requirements. 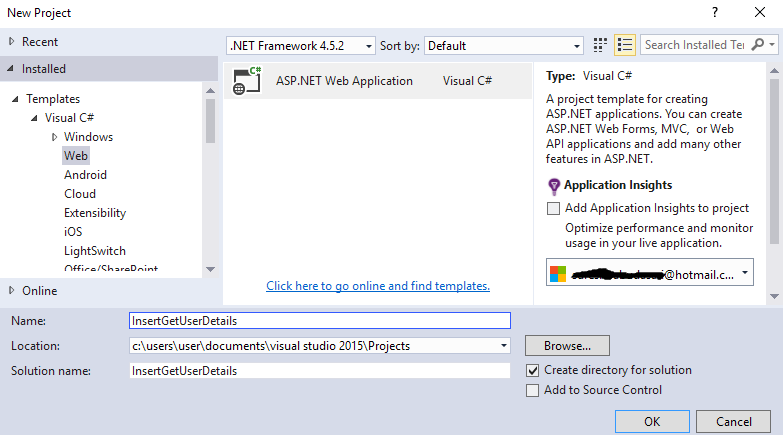 In previous articles I explained asp.net mvc hello world example, asp.net mvc membership or identity to create users, roles, assign roles to users, asp.net mvc query string parameters with examples, asp.net mvc exception handling with examples, areas in asp.net mvc with examples, asp.net mvc custom route constraints with examples, validation using fluent validation in asp.net mvc and many articles relating to asp.net mvc, asp.net, c#,vb.net. Now I will explain how to show or get data from database in asp.net mvc with example. 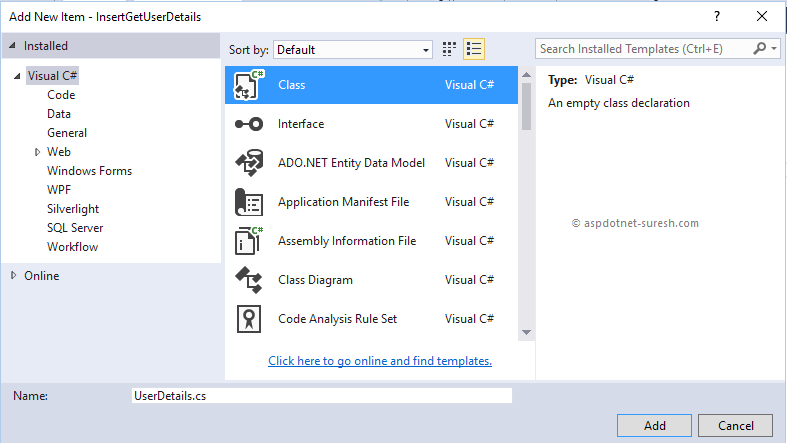 Here we will see how to insert data into database in asp.net mvc and how to get data from database with example. Before we proceed to insert or get data from database first design userdetails table like as shown below. Or use following query to create userdetails table in database. Once we click on Controller new popup will open in that select MVC 5 Controller – Empty and click Add like as shown below. 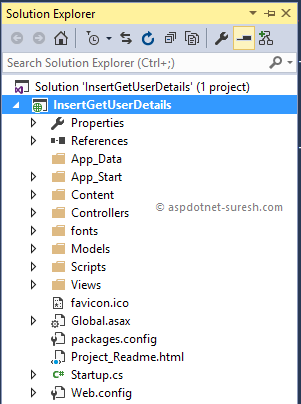 If you observe above controller code, we defined InsertUserDetails method two times one is for insertion and another for getting data from database. 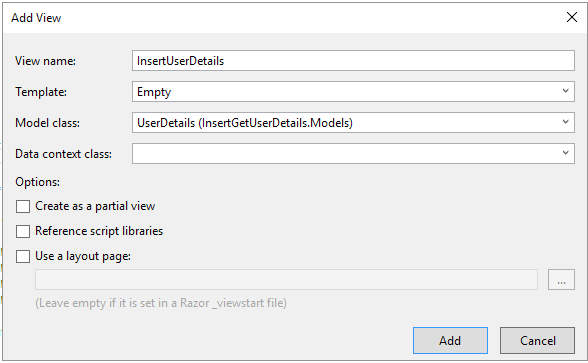 Now give name “InsertUserDetails” to view, select template as “Empty” and select Model class as “UserDetails” which we created in our application then click on Add button like as shown below. This is how we can insert and get data from database in asp.net mvc. 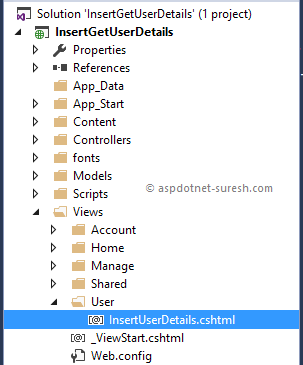 Additional information: Procedure or function 'usercrudoperation' expects parameter '@username', which was not supplied. Can you please help me ...!! !